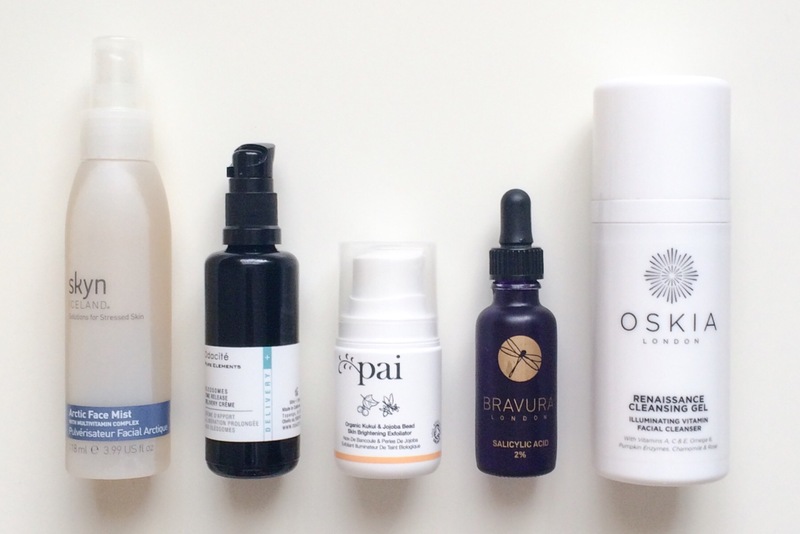 If you follow me on Instagram, it should come as no surprise that these five products are this month’s favorites because they have all been in heavy rotation over the past few weeks and for good reason. With the changing weather, my skin has been on the drier side of combination and these products have helped me to keep it clear, smooth and hydrated. Water, Hamamelis Virginiana (Witch Hazel) Extract, Cucumis Sativus (Cucumber) Fruit Extract, Angelica Archangelica Root Water, Polysorbate 20, Leuconostoc/Radish Root Ferment Filtrate, Oxycoccus Palustris (Cranberry) Seed Oil, Rubus Chamaemorus Seed Oil, Thymus Vulgaris (Thyme) Extract, Cetraria Islandica Extract, Buddleja Davidii Extract, Camellia Sinensis Leaf Extract, Saccharomyces Lysate Extract, Salix Alba (Willow) Bark Extract, Ergothioneine, Magnesium Ascorbyl Phosphate, Panthenol, Tocopheryl Acetate, Retinyl Palmitate, Biosaccharide Gum-1, Glycerin, Caprylyl Glycol, Ethylhexylglycerin, Fragrance (Parfum). *component of Icelandic Glacial Water. Free of parabens, petroleum, phthalates, mineral oil, sulfates and dye. 100% vegetarian, cruelty-free and allergy tested. Gluten-free. 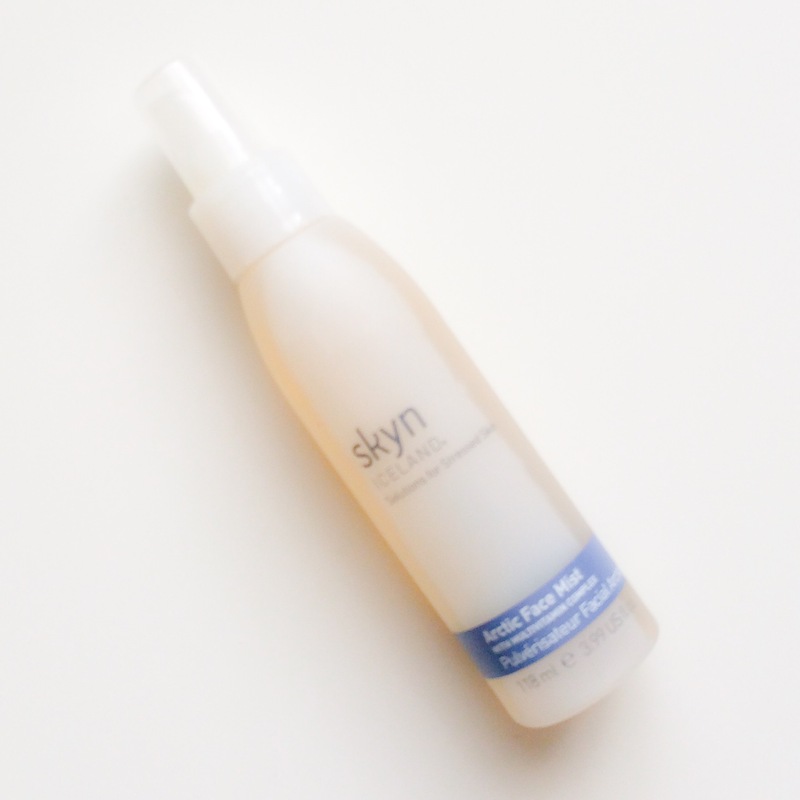 I first started using Skyn Iceland many years ago when they were sold at Sephora (now at Ulta or on Cult Beauty) and was beginning to invest more time and money into my skincare. Back then, I was practically using the whole line (favourites were this mist and the antidote daily lotion) and my skin just loved it. I was so happy to find this gem in my cousin’s beauty stash and immediately “borrowed” it. 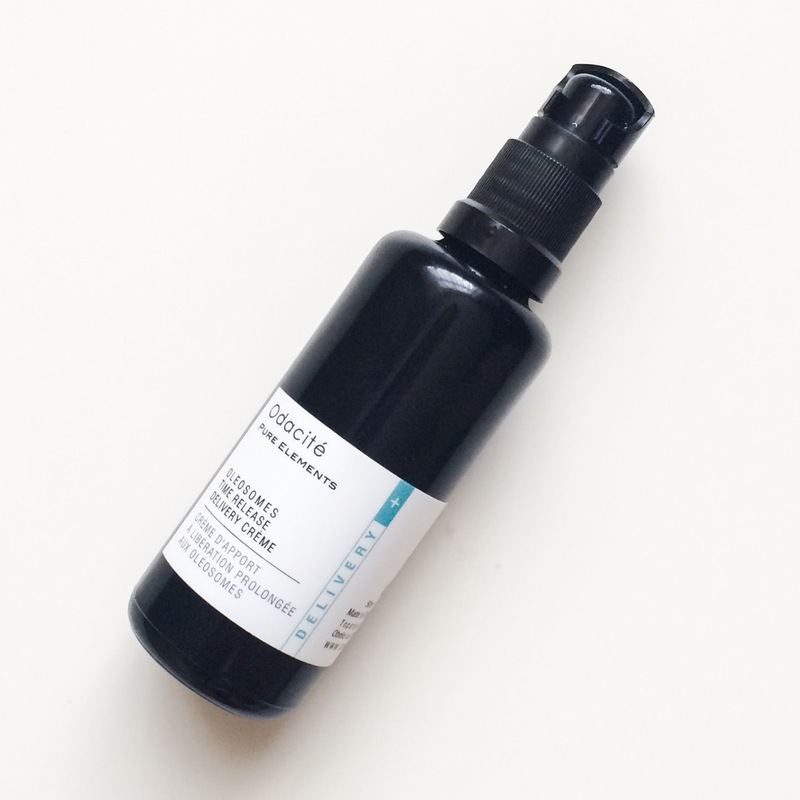 This mist is incredibly hydrating and refreshing, which is just what I need right now. I use it after toning and before applying my serums and it has worked perfectly to keep my skin soft and balanced. Aloe Barbadensis (Organic Aloe Vera) leaf extract, Organic alcohol, Extracts of Calendula Officinalis (Organic Calendula) flower (and) Camellia Sinensis (Organic White Tea) leaf, Butyrospermum Parkii (Organic Shea) Butter, Carthamus Tinctorius (Saflower) Oleosome (and) Aqua, Cetearyl Olivate (and) Sorbitan Olivate, Cetyl Palminate (and) Sorbitan Palminate, Organic Glycerin, Simmondsia Chinensis (Organic Jojoba) seed oil, Limnanthes alba(Meadowfoam) Seed Oil, Daucus Carota Sativa (Carrot) seed oil, Sodium Hyaluronate, Anisic Acid, Caprylic/Capric Triglyceride (and) Hydrogenated Vegetable Oil (and) Crithmum Maritimum (Sea Fennel) Extract, Rosmarinus Offcinalis (Rosemary) leaf extract and Helinatus Annuus (Sunflower) Seed oil. I get so many questions about this on Instagram and have a full review coming up this week so I won’t go in to too much detail about it here. I have been using this for a good few months now and I love it, which never happens to me with moisturizers. It has been amazing at keeping my skin hydrated and soft, despite all the travelling I have been doing and it’s my number one inflight essential now. If you have dry skin, this is perfect for you. 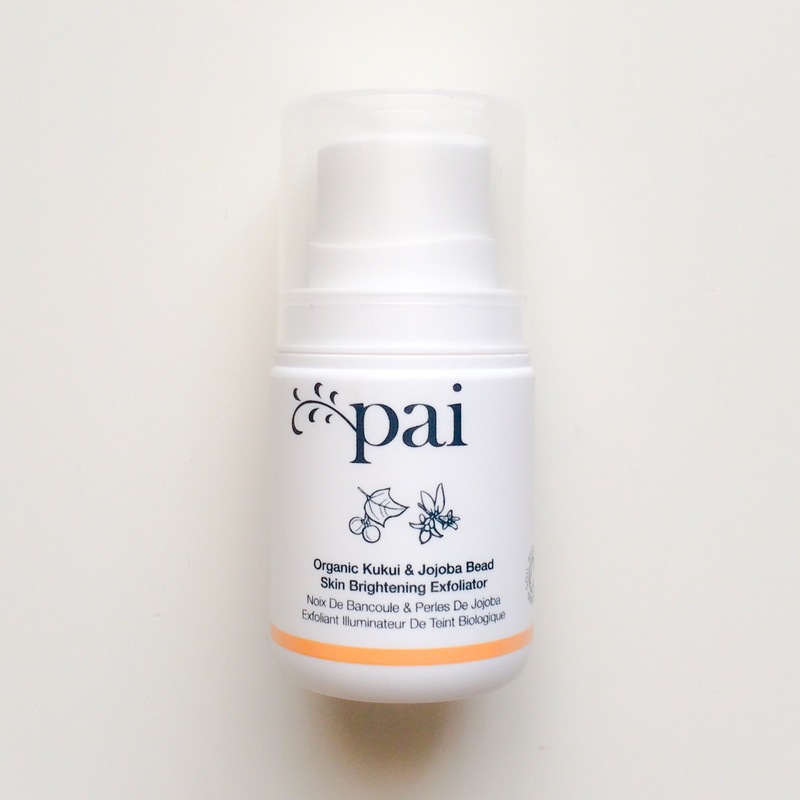 It’s nourishing without feeling heavy and has long term hydration benefits so you won’t have to constantly reapply it. Even though I have combination skin, this has been great for me and and I can’t wait to tell you more about it! Helianthus Annuus Seed Oil* – Sunflower Oil, Glycerin – Organic Derived Vegetable Glycerin, Prunus Amygdalus, Dulcis Oil* – Sweet Almond Oil, Aleurites Moluccana Seed Oil* – Kukui Oil, Prunus Armeniaca Kernel Oil* – Apricot Oil, Carthamus Tinctorius Seed Oil* – Safflower Oil, Persea Gratissima Oil* – Avocado Oil, Hydrogenated Castor Oil (and), Hydrogenated Jojoba Oil – Jojoba Beads, Sucrose Laurate – Sucrose Laurate, Citrus Aurantium Dulcis Fruit Water* – Orange Fruit Water, Boswellia Neglecta Oil* – Frankincense Oil, Litsea Cubeba Fruit Oil* – May Chang Oil, Tocopherol – Natural Vit E.
I have had this exfoliator for a really long but despite my love for Pai, I absolutely refused to use it because I usually hate physical exfoliators. 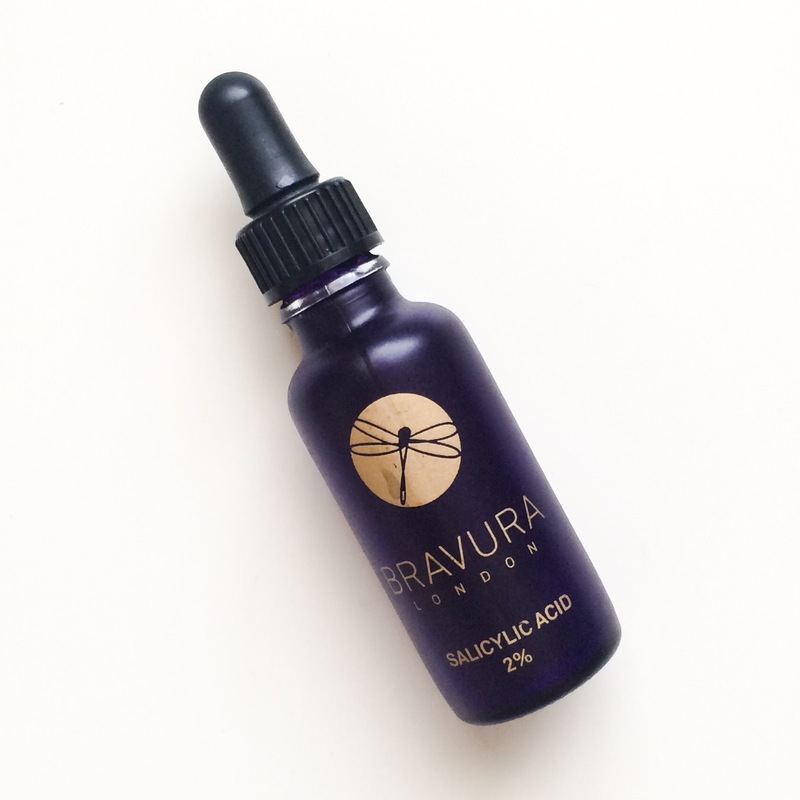 Luckily for me, I randomly found it in my travel beauty kit and when my skin was really dry and flaky in the first week of using the Bravura peel, I decided to give it a go and it turned out to be exactly what my skin needed! This exfoliator is nothing like the others out there – it is incredibly gentle (because it contains jojoba wax beads) but still left my skin so soft and smooth that I couldn’t stop touching it. Now I love using this about 2-3 times a week to prevent any flakiness reoccurring and it works perfectly. It’s light enough that it glides over the skin but thick enough that you can really work it in without being too rough. This is going to be a winter staple for me and something I definitely recommend if you suffer from dry, flaky skin. Probably, my favorite Favourite and the one I have been using nonstop since I got it – I am addicted! I have done a full review on it here with all the details so all I will say now is that this has kept my skin in such good condition, is clear skin in a bottle and you need it. Caprylic/Capric Triglyceride, Glycerin, Aqua, Cetearyl Olivate, Sucrose Laurate, Benzyl Alcohol, Sorbitan Olivate, Sucrose Palmitate, Parfum (Natural), Geraniol, Dimethyl Sulfone, Citronellol, Dehydroacetic Acid, Lactobacillus/Cucurbita Pepo Fruit Ferment Extract, Borago Officinalis Seed Oil, Sucrose Stearate, Linalool, Retinyl Palmitate, CI 77491, Jojoba Esters, Tocopherol, Ascorbyl Palmitate. All natural ingredients. This is easily one of my all time favorite cleansers and one I reach for all year round but in particular, during these colder months. It is a balm/gel/oil hybrid that turns into a milk when mixed with water that you can either rinse off (I do this most days) or remove with a wash cloth. I love how light yet nourishing this is and the ingredients are so good I also use it as a mask sometimes. You only need a tiny amount (half a pump) and it can be used as a first, second or double evening cleanse or even in the morning. 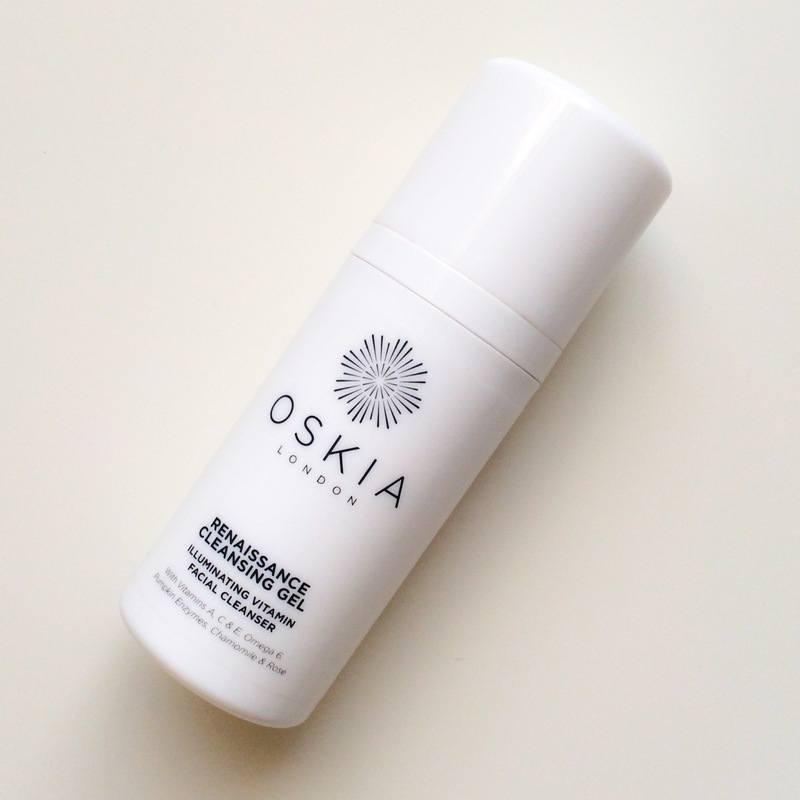 It’s an excellent all-rounder that should suit every skin type and I highly recommend it.